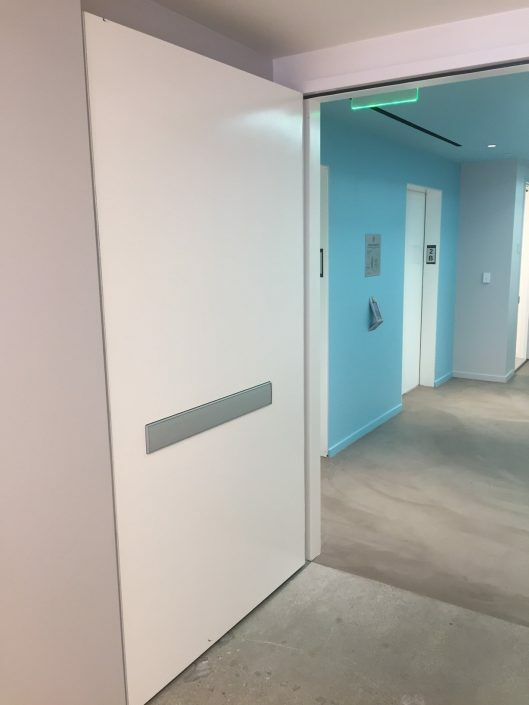 As with all Syntégra™ Door Systems we use a full height, semi concealed hinge and a full height hinge with flush hardware to create an architecturally pleasing installation that eliminates unsightly hardware. 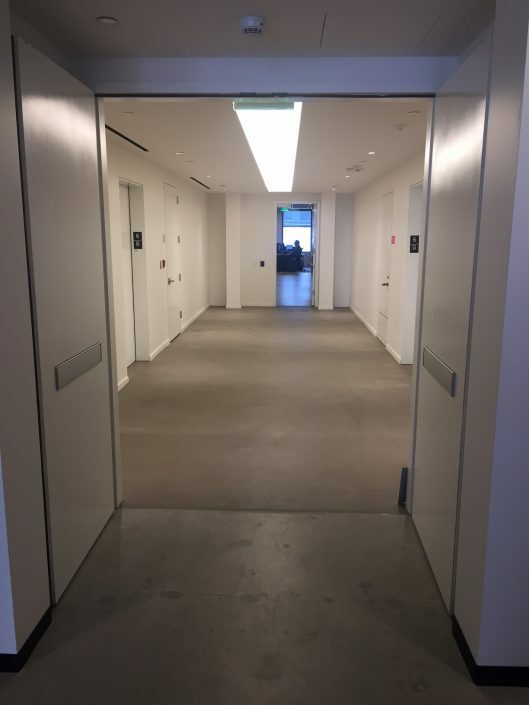 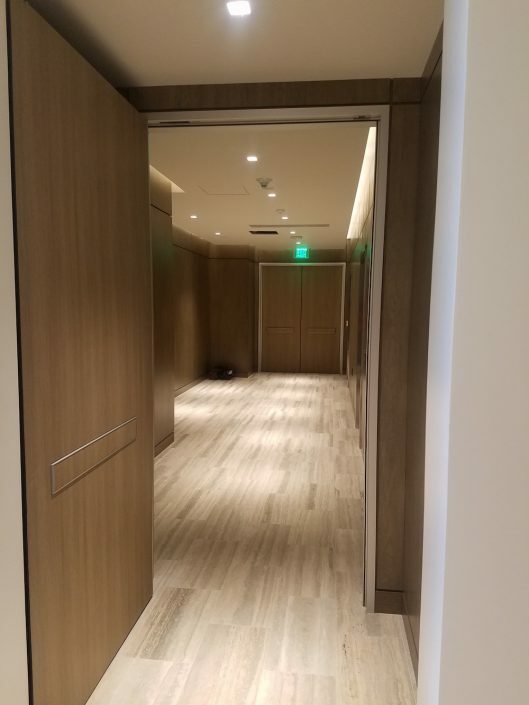 Tested as an integrated door system so you can be confident you are in compliance with all local and national fire codes for the complete opening. 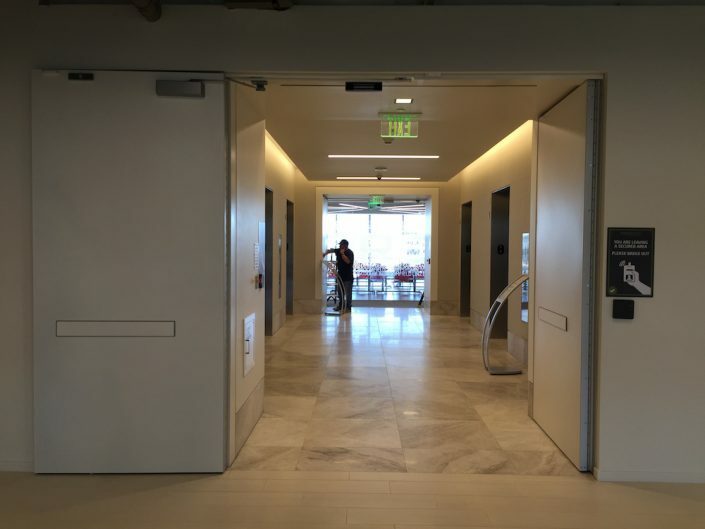 Syntégra™ Door Systems are available in a variety of configurations including double egress or standard swing pair, pocketed 90 or 180 degrees. 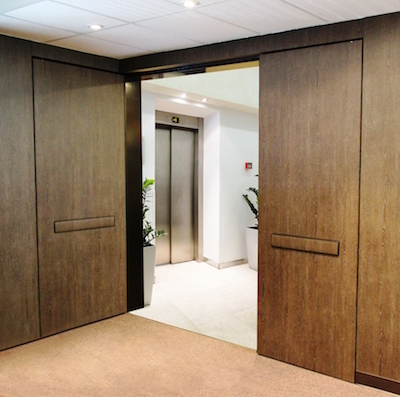 The door systems include integrated latch/locking device, semi concealed continuous hinge for all your elevator lobby needs.